Swiss Dragons and ArtDynasty are honored to invite you to meet with world famous sculptor, Igor Ustinov. 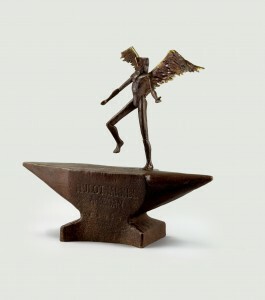 Igor Ustinov’s sculptures not only stop time for anyone viewing his artworks but they are also timeless masterpieces, including landmark sculptures that grace many cities, museums, schools as well as private collections in Europe and North America. Igor Ustinov continues his family legacy of creating, developing and promoting outstanding works in literature both prose and poetry, theatre and film, dance, music, art, in French and English, for several centuries from both his paternal and maternal lineages. In the next blog of www.SwissDragons.com you will see Igor Ustinov’s iconic sculptured Benois de la Danse awards at the Bolshoi Theatre in Moscow. Come appreciate Igor Ustinov and his sculptures while sampling some of the Ustinov wines at ArtDynasty on Thursday, 9 th June 2016 from 5pm – 9 pm. We welcome you to RSVP at contact@swissdragons.com by 2 nd June 2016.